To say 2018 was a challenging year for global markets and commodities would be an understatement. Almost A$120 billion was wiped off the ASX 200 alone, the big four scrambled to minimise fallout from the banking royal commission and the Australian economy had its worst performance in two years, slipping below 3% year-on-year growth. Unfortunately, things were no better abroad. 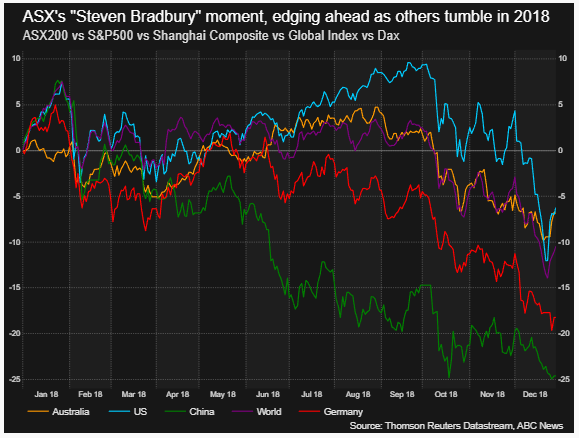 Surprisingly, the ASX was one of the better performers over the past 12 months, as key markets around the world stalled. While President Donald Trump is currently dominating headlines over his border wall conquest (which has caused the longest federal government shutdown in US history), it’s his administration’s mass tax cuts, and their fading effect on the US economy, that should be followed closely. The swift drawback on UK PM Theresa May’s Brexit deal is also cause for concern moving forward. Commodities were hit hard: zinc, lead, nickel and silver all suffered sizeable losses. Iron ore and gold finished the calendar year on a sour note (down 3% and 4% respectively), but fared well when compared to traditional leaders such as copper (-18%) and oil (-16%). While vanadium closed the year well above it’s opening price on January 1 2018 (US$10/lb), it too was not immune. Despite its potential battery applications, it’s strong industrial roots ensured it felt the pinch in the back half of CY18. The metal slid below US$20/lb by year’s end, well short of its inter-year high of US$35/lb. In light of the past year, junior explorers on the ASX are now looking to streamline and consolidate their assets. 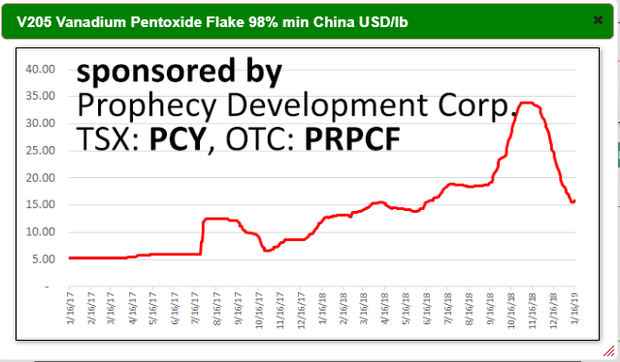 Pacifico Minerals (ASX:PMY) is one such explorer that has tweaked its direction for 2019. 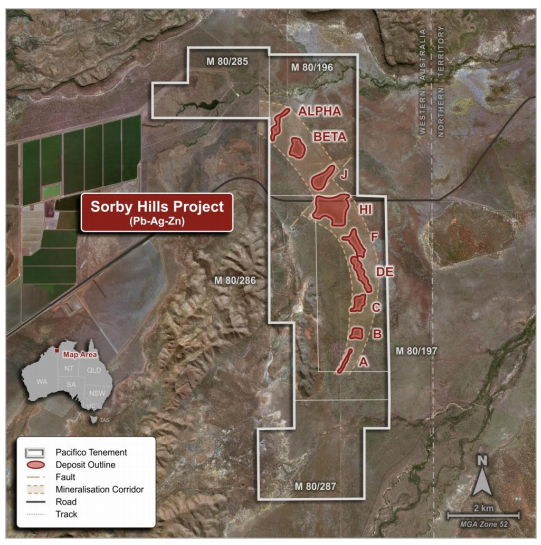 It will use the new year to re-prioritise the Sorby Hills lead-silver-zinc project in Western Australia, having informed its shareholders that it will not complete its acquisition of the Violin Project in Mexico. Despite the highly promising results to date at the Guerrero belt site, the polymetallic explorer sighted current market conditions as a key factor for the decision. PMY holds a 75% interest in the JV at Sorby Hills, with the remaining 25% held by Henan Yuguang Gold and Lead Co. Ltd (China’s largest silver producer). The company has updated the resource estimate for Sorby Hills to JORC 2012, with a Global Resource of 16.5Mt at 4.7% lead, 53g silver and 0.7% zinc. Building off this, it has since completed its phase 1 drilling program at Sorby Hills, which focused on the B, C, CD link, D, F and I deposits. Some 3,906m of reverse circulation (RC) and 1,466m of diamond drilling (DD) was completed during the program, with visual logging completed to date already indicating strong lead mineralisation in several holes. PMY’s strategic refocus coincided with Simon Noon’s (PMY Managing Director) meeting with JV partner Henan Yuguang, which centered around securing supply and offtake and payability arrangements. PMY Managing Director, Simon Noon, spoke on the Sorby Hills update. 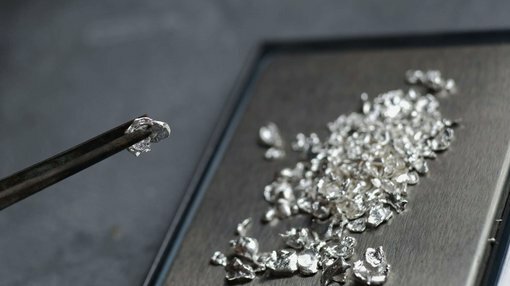 “Just 6 weeks ago we closed the acquisition of Sorby Hills and already we’ve completed a highly successful drilling campaign, results from which we are confident will materially upgrade the resource estimate (JORC) and enhance the Pre-Feasibility study which is already underway and will be completed in the first half of 2019. Henan Yaguang was established in 1957 by the government of Jiyuan City, located in Henan Province in North China. The company listed on the Shanghai Stock Exchange in 2002 (HYG – exchange code: 600531), and has been among the top 500 Chinese enterprises and top 500 manufacturing enterprises for the last five years.